Carolina earned her Diploma in Medical Assisting in June 2016 at UEI College. She’s been working with the practice since September of 2016. 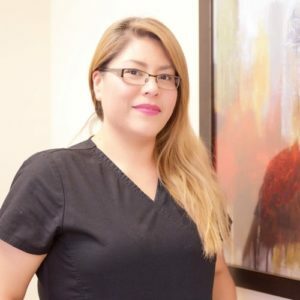 She has become a wonderful asset to our office and greatly enjoys assisting the doctor in his vascular procedures as she pursues her dream to become an RN. Carolina is also bilingual and often assists the doctor with our Spanish speaking patients. Carolina has a very calm demeanor and is loved by many of our patients, as well as our staff.